You open the envelope the stranger handed you. There's a location and a series of numbers and dashes. 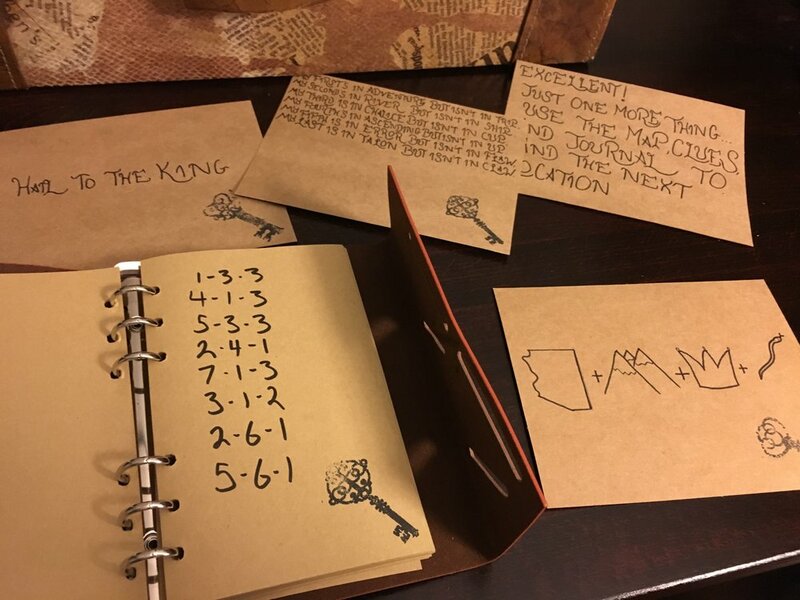 Decodes are a fantastic way to wrap your adventure in mystery, give someone a challenge, or just buy yourself some time to place the next clue! You can create an adventure entirely around decoding a message (for an example, check out Adventure no. 15: The Grand Hunt), or you can bury the clues to the next location in code! Rule No. 3: Make instructions clear. The challenge should be about decoding the message, not figuring out what the encryption means or what to do next. It’s always worth remembering that peoples brains work differently. Never assume that your target’s brain will make the same connections that your brain does. Include a card with instructions alongside the encrypted message. 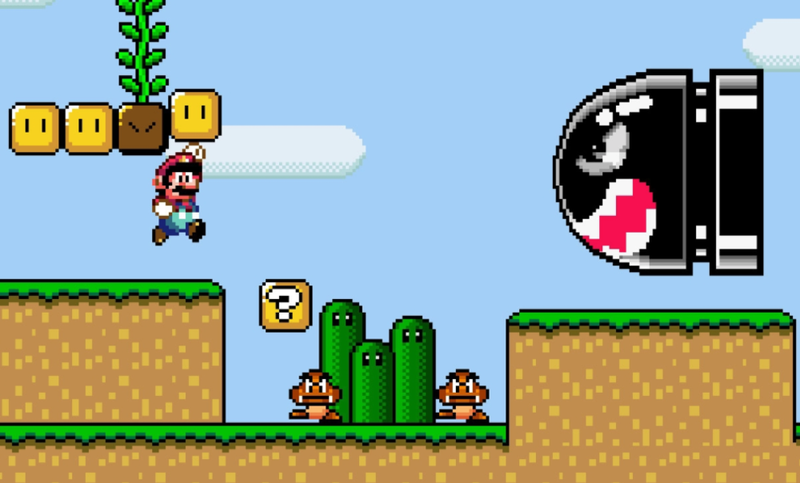 Super Mario World is a masterpiece. The challenge comes from the gameplay. The controls are intuitive. Level 3: Learn the run+jump combo. Successful games are fun because they’re challenging, not tedious. You should always be wary of plummeting the adventure into a frustrating mess. If your target has to decode an entire page of instructions, they’ll be banging their head against the wall by the end of the first line. Keep this in mind when you're figuring out what part of your adventure should be a decode. If a certain part involves a lot of instruction, make it a handoff or dead drop. Encrypt the simple things like passwords or restaurant names. You’ll use a small series of numbers combined with a block of text which points to a certain letter. The most common way to do this is to use a page out of a book. In this case you'll use three numbers: line - word - letter. 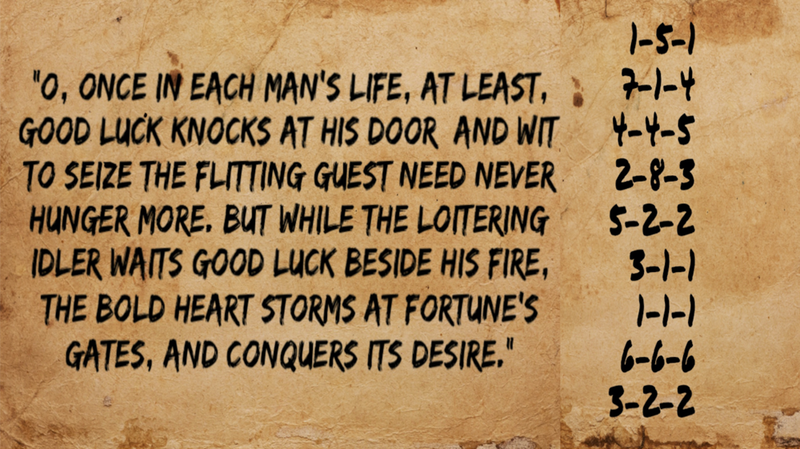 Use my favorite quote and the numbers to the right to decode the message! The answer will be at the bottom of the post! Be aware of how quickly your brain starts to glaze over. You want to make sure your target isn’t sitting there decoding one absurdly long message for 45 minutes. As an example, I’ll use one of the sections from Adventure No. 1: The Scottsman. Our Targets picked up a big envelope with two tickets to the zoo and four separate slips of paper. Each slip of paper had a clue to an animal and a sequence of numbers. One clue said “Duke Nukem’s Catchphrase." The answer is “Hail to the king, baby.” Once The Scotsman and his girlfriend arrived at the Lion pen (king of the jungle) they used the only plaque at the lion pen to decode the message. I knew that The Scotsman was an avid video-gamer (like me!). The Duke Nukem clue was a challenge that he could overcome due to prior knowledge. This was a fold added that really made the adventure feel like it was his to conquer. Once the target and his girlfriend found all four animal pens and decoded the message it read “DIEGO POPS ARRIVE AT 11:30." This gave them a cushion to enjoy their time at the zoo before their lunch reservation! It also gave a nice buffer to allow plenty of time in case the clues took longer than expected to solve. Firstly, it’s fun and simple enough to solve. Secondly, it mitigates the risk. There is no way the brass informational plaques on animal pens at the zoo are changing since my scouting trip three weeks prior. Finally, this entire part of the adventure was self contained. The moment my targets grabbed the envelope with the zoo tickets, I knew that my next location was Diego Pops at 11:30am (and even then, I just gave the restaurant staff a credit card in advance and left them the envelope). Decodes can be designed to give some cushion in your day. They free you up in case something down the line needs to be updated or you need to grab a bite to eat. It's time for your homework. Let’s send someone on a 4 location adventure! Start with a box or envelope delivered to them. 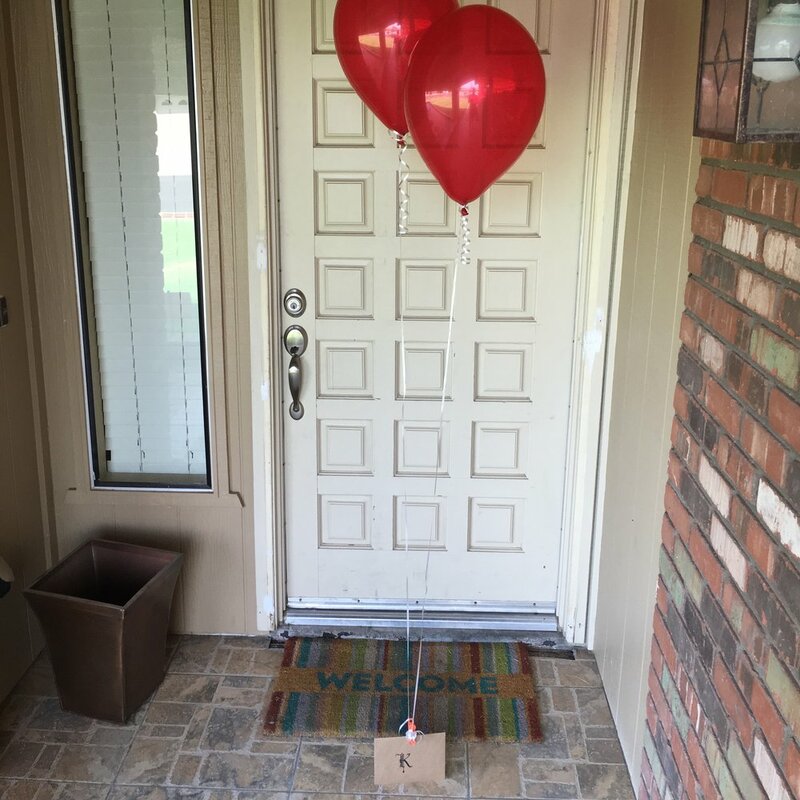 You can also do my personal favorite: Place the chest on the door, ring the doorbell a bunch of times and sprint away. The first location should be somewhere nearby. Pick a place that your target is familiar with (a local park is a fantastic place) where you can place a dead drop envelope and no one will steal it. Inside that envelope, you want to pick a great location. It could be a zoo, park with lots of art installations, or museum. The most important thing is to make sure there are a bunch of fixtures with text on them. You will fill this envelope with tickets to the location. Then you'll create simple clues to lead them from point to point. You'll also create a fun Ottendorf Cypher to go with each instillation. The answer will spell out the next location and arrival time. Finally pick a restaurant that they'll go to, reach out to management, pay in advance and give them the last clue. You can have the adventure end with a surprise or just send them back home to you. When you go to your location to scout, just take pictures of each plaque and encode the cypher when you get home. Seriously though, everything has some sort of plaque on it. That does it for my three basic methods! So where do I go from here? I’m going to illustrate important things to remember, break down more fun decodes you can incorporate, and as always, spell out the rules I follow to make a successful adventure! Did you make a small adventure for a significant other or family member? Tell us about it! Send us an email or post on our Facebook. If you need inspiration, you can check out our Instagram. Finally, if you need help, call or email us. Always happy to have a convo and give some advice. Adventures are for everyone!